I wrote the following profile of my grandfather, James P. H. Roane (1895-1960), as a contributor to WikiTree and, I decided to share it (slightly edited) in honor of the 120th anniversary of his birth. 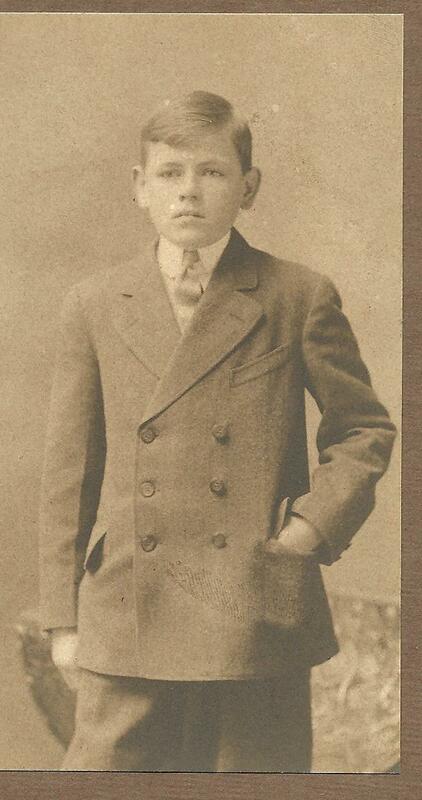 James Patrick Henry Roane was born in Lowell, Massachusetts, on August 8, 1895, the fifth child, and fourth son of John F. & Mary J. (Donahue) Roane. His mother died as the year 1900 ended, and his father never remarried, leaving James and five siblings to grow up motherless. His sister Mollie, the firstborn and only girl at 10 years, raised her brothers and kept house for her father. At least one year, 1902, when school let out, James and his brothers were sent to Baker Farm in Tyngsboro, apparently, a summer camp where boys could experience the natural world, fresh air and clean water (not found in the factory city of Lowell). Young James played school sports and made his mark as quarterback for the Lowell High football team, following in the footsteps of his older brothers, who were also noted athletes. The amusing nickname, “Roundy Roane” was applied to various brothers, including James, and probably was descriptive of the short, muscular frame which ran in the family. …riding the crest of a popular wave, scored a tremendous hit in minstrelsy at Associate Hall. Patrons thought the program was the best ever presented by this talented group. Interlocutor was Charlie McKenzie, with Tom Salmon, Ed [? ]andley, Joe Clarke and James Roane as end men. In the 1920s and 1930s, James lent his voice to local broadcasts, which included vocal performances, according to his son. James, Sr. He was also an announcer for sporting events, however, cryptic newspaper comments suggest his style wasn’t popular with all listeners. James had enlisted in the US Army by 1915 and served until 1919. Returning to civilian life, he was employed as a stock clerk at a machine shop and grew close to another Lowell High alum, Edna Mae Keirstead, a bookkeeper at Union National Bank. 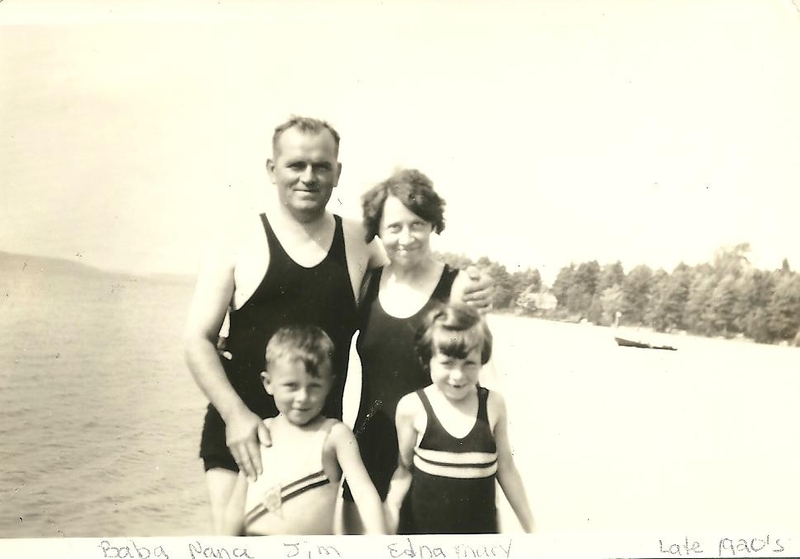 Edna’s parents were Canadian immigrants, and she wasn’t Irish or Catholic, but the young couple shared a common vision. They married in the family’s parish at St. Margaret’s church on May 31, 1921, and left promptly for Lakewood, Ohio (a suburb of Cleveland). James had arranged a sales job with the May Company, and Edna got position with the Union Trust Company. The newlyweds’ initial plan didn’t last long, as they returned to Lowell that same year, likely precipitated by the death of Edna’s father in August. After settling back in Lowell, James thought about becoming an attorney, and earned a degree from Suffolk Law School in 1923, – the year his first child was born, a daughter, Edna Mary Roane. Whether the outlook for earnings from a law practice looked poor, or whether he decided law didn’t suit him, James studied medicine at Harvard University, and in 1924, the year his son and namesake was born, his credentials won him a teaching position in Lowell public schools. His passion for physical education and sports sustained him in a 30-year career, from phys ed instructor at Charles Morey School, to Athletic Director for the Lowell Public Schools at his retirement in 1952. In the family sphere, James shared his delight in travel, culminating in an episode his daughter described by his daughter more than 60 years later, as their “famous trip” to Texas by automobile. Back home in Lowell, James was member of fraternal organizations that included the Elks. He led or worked on committees that supported a variety of organizational and community undertakings, through which he built life-long friendships. To his grandchildren lucky enough to have been born before his passing at age 64, in the spring of 1960, James Roane, Sr, was “Baba.” He left us with memories of his warmth, his sense of fun, and his love. This entry was posted in Family History, Lowell, Massachusetts, Roane / Roan / Ruane, Uncategorized and tagged Family History, Lake Winnepesaukee, Lowell, Massachusetts, New Hampshire, Roane, vaudeville by poorirish. Bookmark the permalink.